Dr. Jose Bruzual received his doctor of veterinary medicine degree from Central University of Venezuela. He earned a Master degree in Poultry Science from North Carolina State University and also a Master in Avian Medicine from the University of Georgia. <br><br>Dr. Bruzual has spent time working for major companies including Perdue Farms, Embrex, Inc. (Now Zoetis) and the U.S. Department of Agriculture in the US. Before coming to the US, he worked with Protinal and Purina in Venezuela <br><br>Dr. Bruzual is part of the Aviagen Global Veterinary Team as a Regional Technical Service Veterinarian. 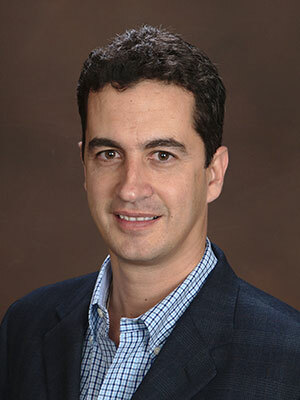 His responsibility includes providing poultry health and management advice to Aviagen customers in North and Latin America, and work closely with the global veterinary team focused on poultry health research efforts. The objective of this poster is to properly address different areas that can put in jeopardy the health integrity of the farm and grade it accordingly. The assessment will cover 4 aspects of the biosecurity included in a total of 76 questions. The questions were related to the location of the farm (23), the farm itself (23), the house within the farm (22) and general procedures that need to be considered (10).